According to findings presented at the American Heart Association’s annual meeting in Florida, excessive drinking may increase the risk of heart failure, even if an individual is young and healthy. According to the study, people who abuse alcohol increase their chances of developing heart failure by 70%. Dr. Isaac Whitman, the study’s lead researcher and an electrophysiologist at the University of California, suggests that the effects of excessive drinking were very noticeable in middle-aged adults, young adults, and people who were otherwise in particularly good health. The study, however, found no proof that heart failure was caused by heavy drinking. Whitman urges young adults to take it easy on alcohol, especially if they have no existing risk factors for heart disease. Other studies present mixed results when linking heart health to moderate or light drinking. For example, moderate drinking may help lower cholesterol levels, but it may also increase one’s risk of irregular heart rate, notes Whitman. For their study, researchers analyzed records of approximately 858,000 California patients who were treated between 2005 and 2009. Patients ranged in age from their 30’s to their 70’s. 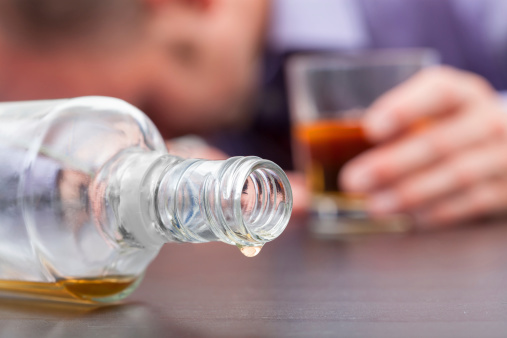 Researchers found that approximately four percent of patients were diagnosed as alcohol abusers. In total, nearly 12% developed congestive heart failure. The strongest predictor of congestive heart failure was alcohol abuse, even when researchers adjusted for other risk factors, including diabetes, age, smoking, elevated cholesterol levels, and high blood pressure. Study authors also discovered that alcohol abuse was worse for the hearts of healthy individuals who didn’t have other heart risk factors. “If you are a healthier person, your heart is disproportionately more susceptible to the toxicities of alcohol,” Whitman says. He notes how individuals were more affected by heavy drinking if they were under the age of 60, didn’t suffer from chronic kidney disease or heart disease and had normal blood pressure. Individuals who already had other heart risk factors, according to Whitman, may have already been in poor health, so the alcohol didn’t have a strong effect on them. “Your heart is already sick, so they added toxicity from alcohol does not have as much of an impact,” says Whitman. He explains that a condition called alcoholic cardiomyopathy, a disease where chronic long-term alcohol abuse results in heart failure, can affect people who consume five or more drinks per day over several years. Thompson, D., “Heavy Drinking May Strain the Heart,” Medicine Net web site; November 9, 2015; http://www.medicinenet.com/script/main/art.asp?articlekey=191800.